Rigging projects. What is that? 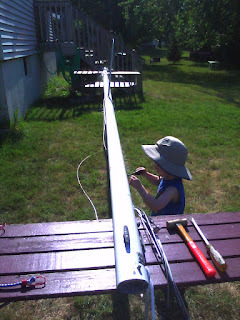 No.. no electrical tape is not the same as rigging tape. 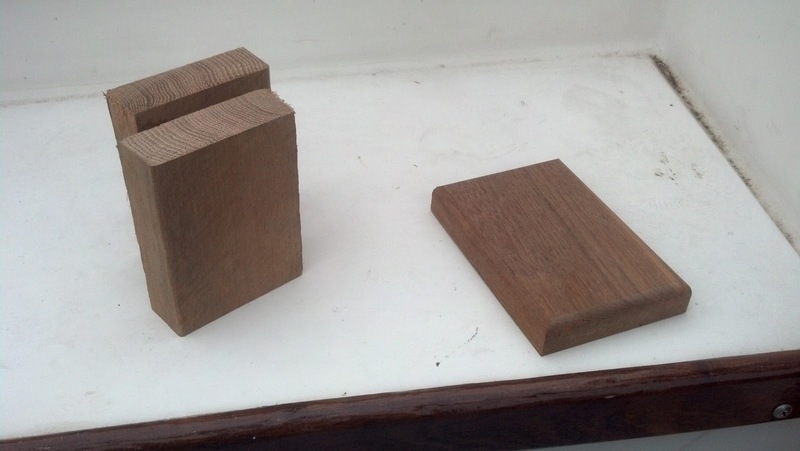 Oh boy I think we will just make a new fore stay. At the start I think there may have been 35 years worth of paint on the bottom of this boat minus what had chipped off. I knew this was going to be a big job at the beginning but thought maybe I'd get lucky and most of it would just power wash off and a lot did. It ended up being a 3 stage process. Power wash, Chemical Strip then ultimately grind/sand off the remaining paint. Stage 1. Power washing let's see what we have here. A good power wash also identified some problem areas around the rudder gudgeon, and shaft. Scrub a Dub Dub.... Wasps in a Typhoon. The boat was pretty messy but the inside was really bad. Full of Mud Douber nests. Yeah these nasty little guys. Luckily there weren't too many adults. Basically, the entire boat was emptied out. I went through and pulled down the nests and vacuumed them all out. 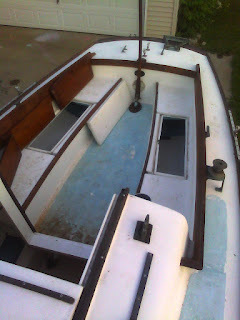 Then I pulled out the garden hose and sprayed out the entire boat stem to stern. 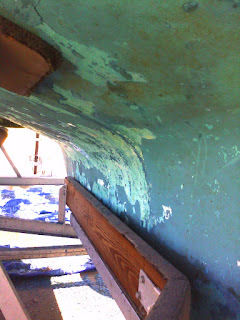 It's pretty tight getting in the back of the boat under the seats and spraying inside the fiberglass liners. 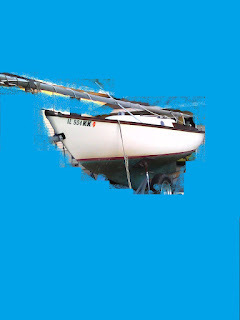 When we where kids we squeezed in and out of my Uncles Cape Dory Typhoon this way all winter long not a second thought. ... I've grown some since then. Wasp nest free even in the bilge. Initial Blog Post We Made it Home. Hi all. 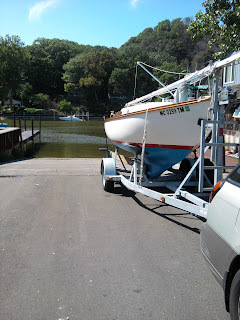 We have purchased a new to us Cape Dory Typhoon. It's a bit of a fixer upper. This is her straight from Illinois full of Mud Dobber nests and all. Lucky thing my wife (see stranger than fiction) went into the hospital or I might have never found it. Seems I'm always buying a boat while or right after she gets out of the hospital. A lot has happened since this picture and I hope to have time to start updating this blog soon. Here are the basics. 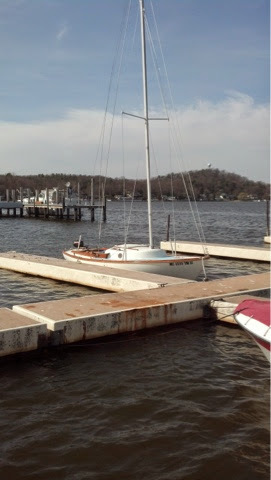 This is a 1978 Cape Dory Typhoon Weekender. For all the specs and some history on the Typhoon you can check out this link. It's late so I'll get working on more updates later.